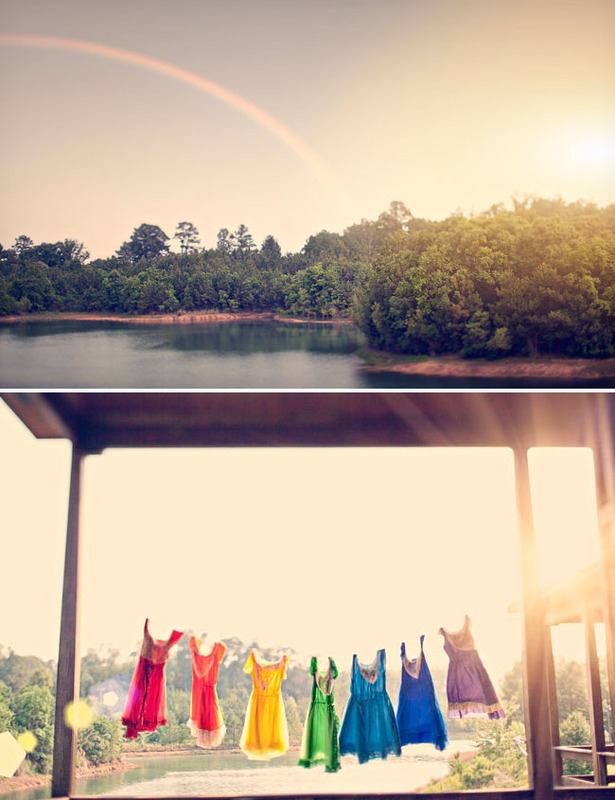 I still remember how surprised I was every time I saw a rainbow when I was a kid. At that time, I was just curious about this natural phenomenon. Actually a rainbow symbolizes the promise that troubles today will surely come to pass and brings a brand new start if you are faithful in life. 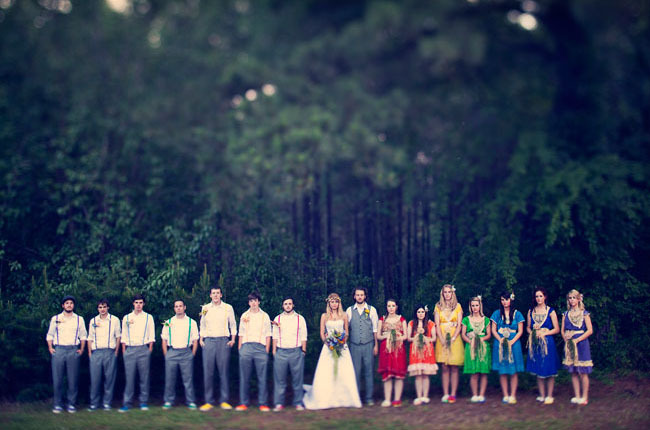 Because of that, a couple Jenn and Matt decided to throw a rainbow-themed wedding. This is the wedding I would like to share with you guys today. There is no right or wrong way to throw a wedding. 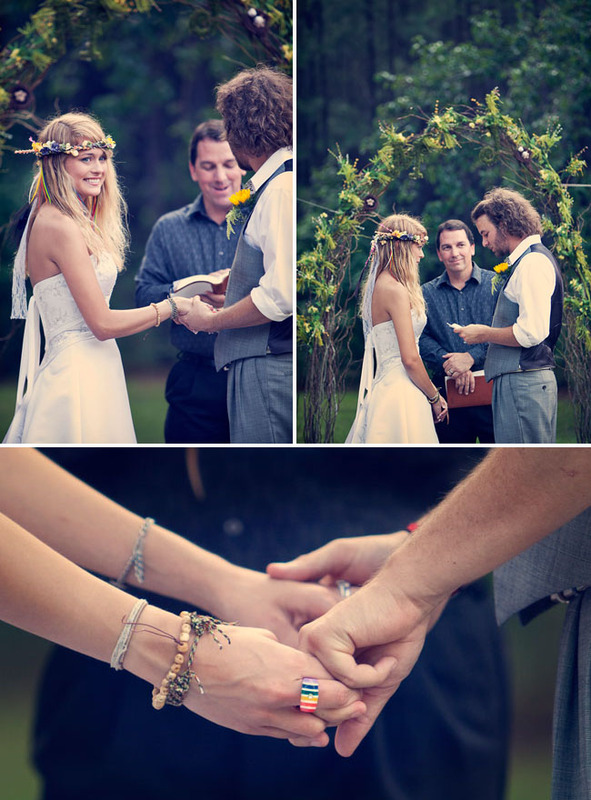 If you want to have to memorable wedding, don’t think about what a wedding is supposed to be. Just think about what you want to express through wedding. So did Jenn and Matt. They made the wedding personal and were not afraid of breaking tradition. They inserted their personality in this unique and romantic wedding. All the decorations were handmade by themselves, their family and friends. 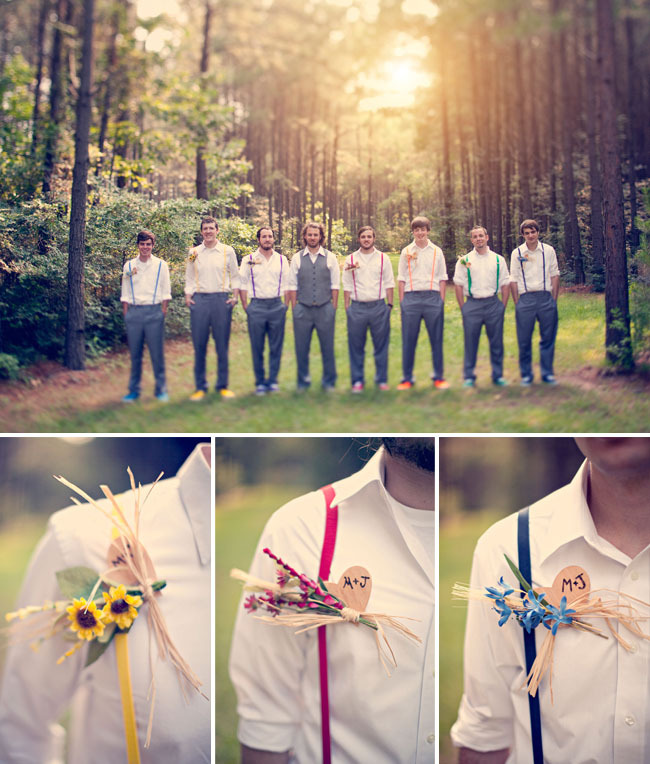 Bridesmaids and groomsmen are important part of a wedding. As you can see, they all dressed in rainbow colors. They paid attention to all the details. 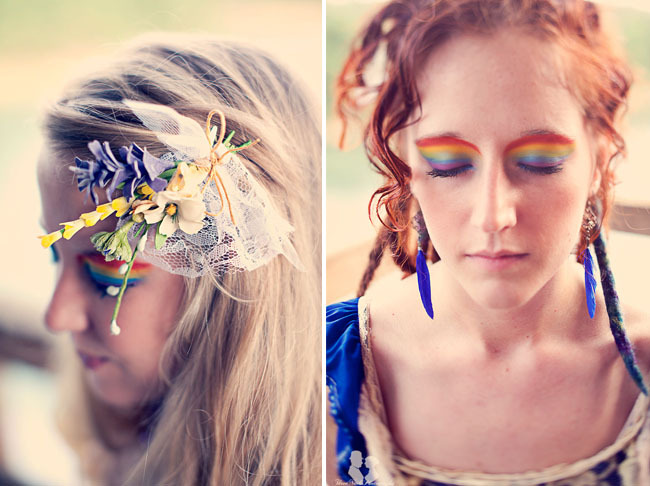 Even the bridesmaids’ eyeshadow was rainbow colors. What a surprising idea! Are you inspired by them? 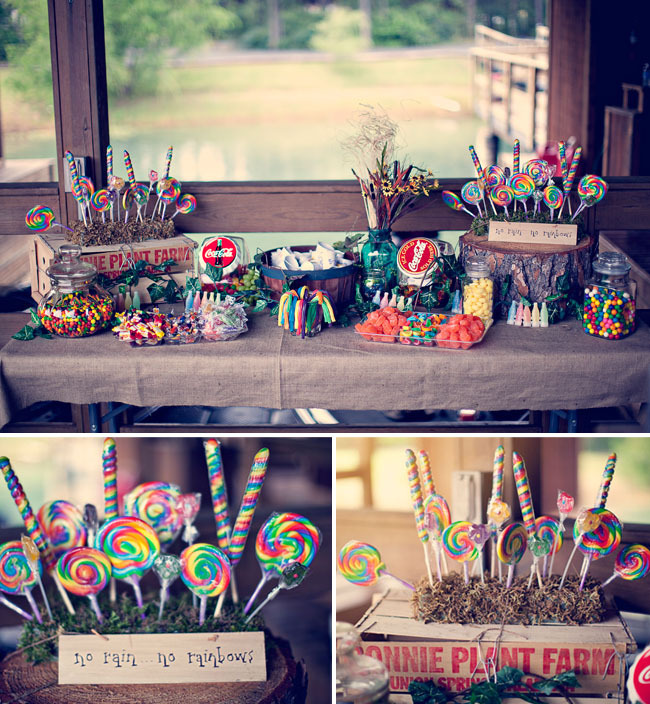 They also served their guests with rainbow-colored snacks. I’m sure these adorable colorful snacks would please their guests. 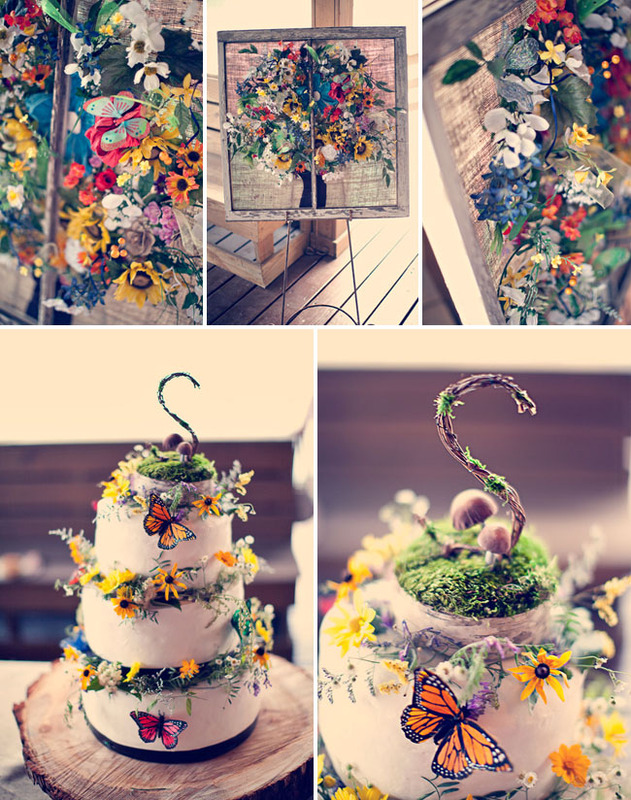 Not to mention this lovely herbal wedding cake. This couple was inspired by the nature so much so they decided to have this special wedding cake. 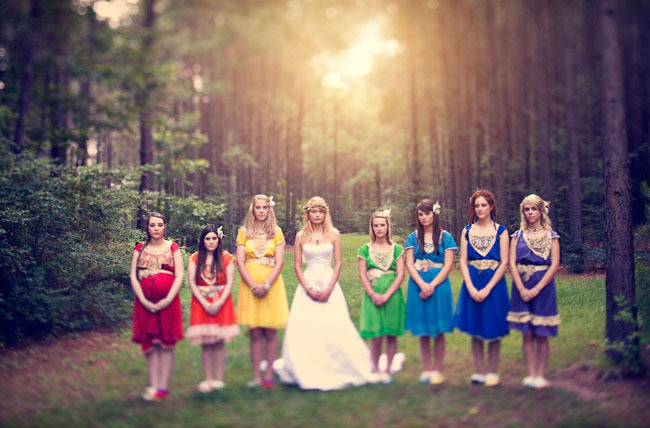 All the details fully displayed their individuality and they truly made the bridal party theirs. Lighting is very important if you are going to have a wedding outdoors at night. Gorgeous lighting will bring great visual effect to your party. This couple thought so, too. 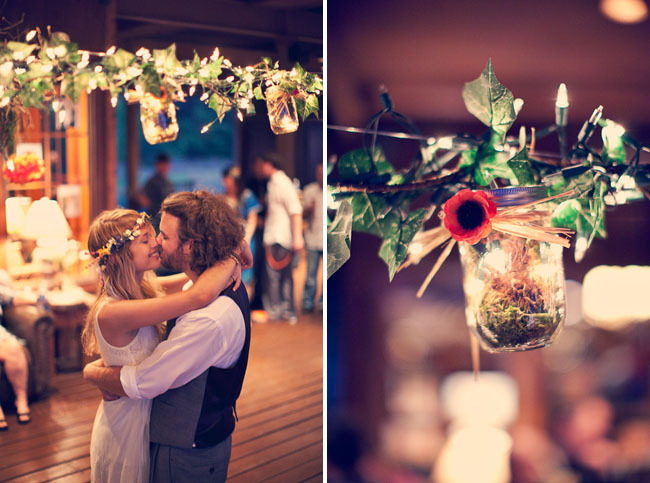 The crafted hanging lights add more warmth to this sweet wedding. 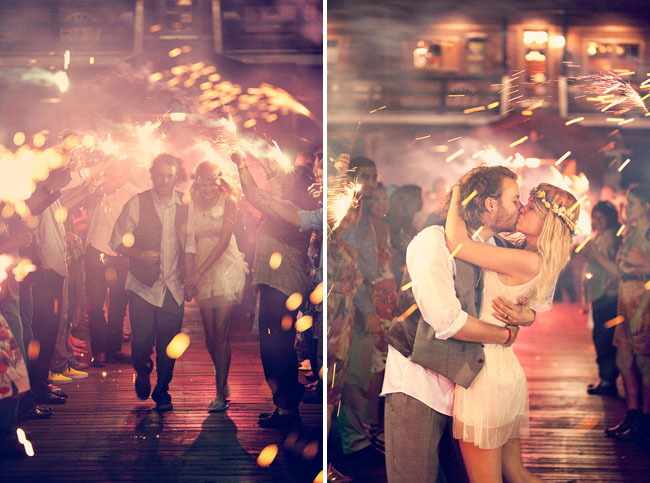 Walking down the aisle with their family and friends holding fireworks, this couple received their sincere blessings.